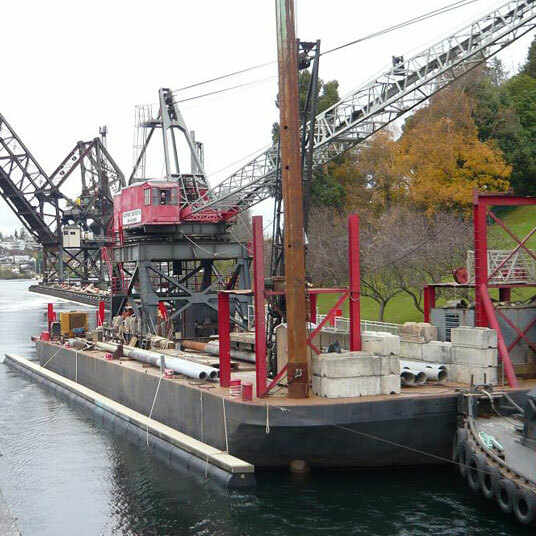 Waterfront Construction provides material delivery services to Lake Washington, the greater Puget Sound and the San Juan Islands. Our fleet, which includes multiple barges and landing craft, is capable of handling nearly any type of material. 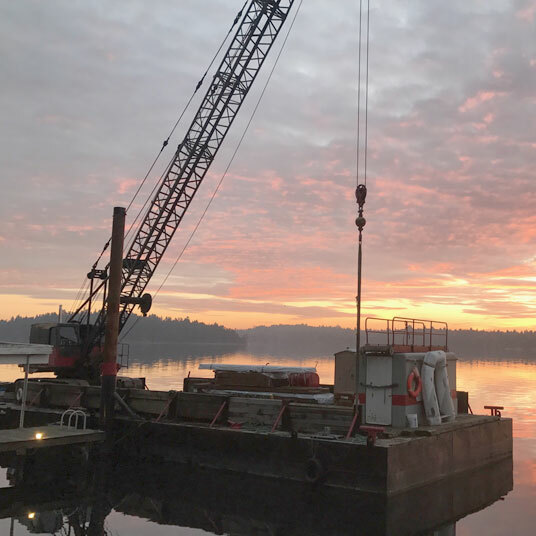 The experienced master of towing captains at Waterfront Constructions are highly skilled at maneuvering shipments throughout Northwest marine regions of diverse passages, tides, canals, locks, sounds, bays and extreme weather conditions. In addition to what you see below we also have two service boats, the San Juan and the Speelya. Please contact Waterfront Construction with your marine delivery needs and custom specifications. 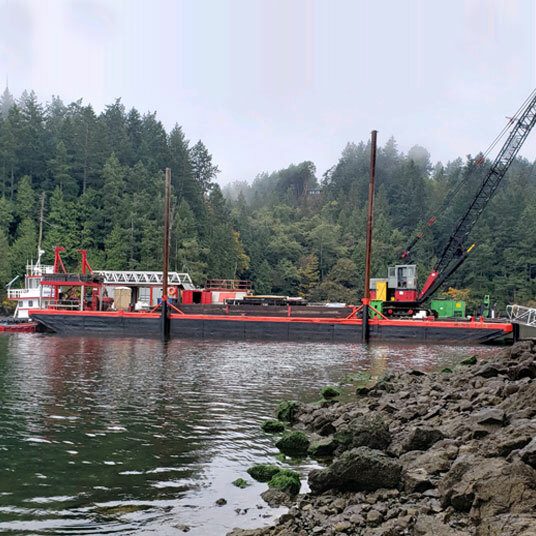 Usually equipment on board i 19 ton hydraulic crane mounted on the bow with 40′ reach and 5,000 lbs. 50′ off bow with 6,000 lbs. Questions about barging and availability?